There’s a curious break in style at Creative Director Chang Lin’s otherwise sedate apartment. Despite his high-fashion credentials, Chang still makes room for kitsch. “Good snow globes are really hard to find,” he says, holding one of his favorites, a special edition Lady Gaga snow globe bought from Barney’s, New York. Now residing in Mitte, Berlin, Chang brings home a snow globe from every trip, immortalizing his travels in the ever-winter spheres. Their shimmering flakes of confetti dancing underneath a cartoon Gaga seem both out of place yet perfectly logical in the Zalando creative director’s home. Chang exudes an earnest, laid back attitude—navigating effortlessly between his work and daily life. He’s held the position since April 2015 bringing with him almost 20 years of experience in the industry, having made a name for himself working on eye-catching campaigns. He ranks among the strongest conceptual thinkers in the business, responsible for tactfully translating the essence of brands including Jil Sander and Nike, with restrained, yet effective images. For Zalando, this means that overplayed ads—the kind showing excitable customers opening their delivered packages—are a thing of the past. Instead there are high-end campaigns with the likes of top model Anna Ewers, who poses in the current sporty Spring/Summer ’16 campaign to a soundtrack of minimal hip-hop beats. Fashion stands in the foreground for the brand—there are no diversions: “In a world flooded with supply, we have to find concrete statements,” Chang says of the concept. 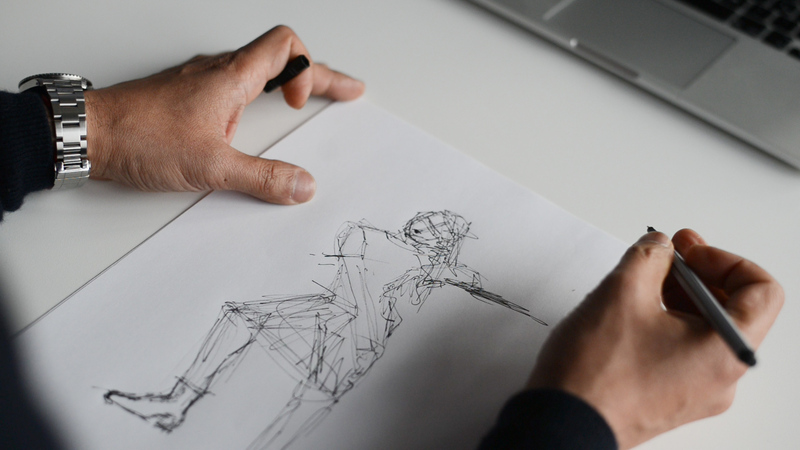 Chang works with creatives from around the world to bring his ideas to life, “I enjoy leading a young team. Our line of work thrives off this and it continues to open up new perspectives for me,” he says. The productions for his campaigns take place in locations such as Los Angeles and New York, while the ideas are developed in Berlin. Given he’s so often on the road, Chang treats his four walls in Berlin as an oasis of calm: the interior is a mix of minimalism with a clear love for details. 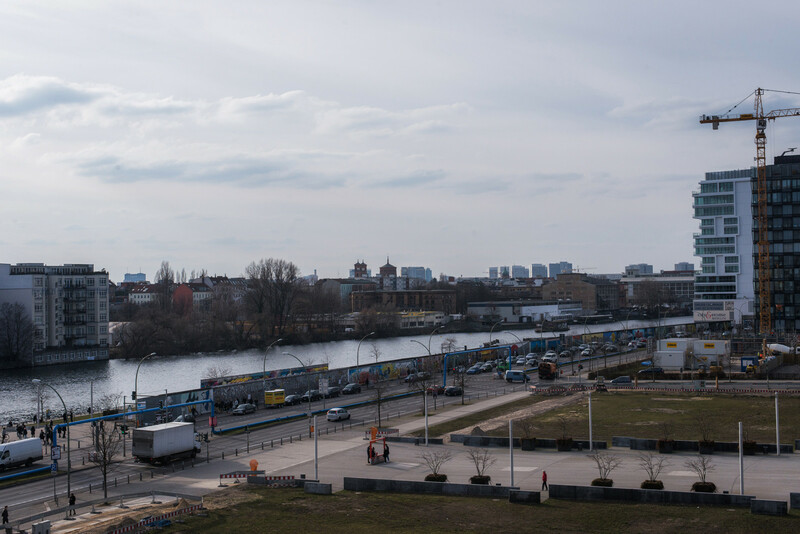 In the evenings, when he takes a cab (Chang doesn’t hold a driver’s licence) from the Zalando office in Friedrichshain and heads home to Mitte, he leaves his day behind him. Anything related to his working life is strictly banned from his private space. Your apartment clearly looks like a space where you consciously disconnect from the outside world. Do you draw some of your creativity from having this distance? Yes, in doing this I focus on the essentials. I work in the fashion industry out of passion, but nevertheless, it’s often superficial. It’s very tempting to become entangled in it. The passion for creating has to always stand middle—not the big names or the urge to represent something. Distancing yourself from the outside world leaves your vision clear for new things. Did starting off in the fashion industry at Jil Sander influence this mindset? Yes, definitely. Ms Sander is a very reserved person; the design has always taken pride of place, never the fuss around it. When I started off at Jil Sander, the company was already in its heyday—that was the mid to end of the ’90s. Ms Sander was one of the most innovative designers of the time. Together with Helmut Lang and Maison Margiela she shaped minimalism in fashion. Also her way of working, of being creative, has hugely influenced my professional path. She taught me never to stagnate, to question everything anew each day, and never to believe that you can do everything, or that you know everything. Only then can you approach something completely without bias. Jil Sander also understood seeing herself as being part of a creative collective. She managed to bring together around her people with huge potential like Nick Knight or David Sims. In the team we developed unbelievably innovative campaigns that have defined the image of the Jil Sander brand up until today. Your mother is Japanese, your father Chinese. Have either of your backgrounds had an effect on you creatively? That’s quite hard to define I think, because you take these things for granted growing up. To put it simply: the aesthetic and the visual I’ve got from the Japanese side. Form and discipline I see more as rooted in my Chinese side—and naturally my feel for diplomacy. Another duality: you commute a lot between Berlin and New York. Why are these two metropolises so important for you? Berlin is the only city in Germany that comes close to a major international city. Here, even though I don’t look obviously German, I can stay anonymous and this gives me the feeling of being integrated. That’s not to say that isn’t possible in the countryside—I would just be noticed more. New York is an endless source of inspiration for me, it’s there you find the perfect symbiosis of art and commerce. But, I call Berlin home. In New York I live out of a suitcase and in hotels. Quite recently, Los Angeles has become a crucial place for me. We produce a large part of our campaigns there because the working conditions are phenomenal: sunshine for the one, the Hollywood studios for another. As a result you not only have access to high-grade equipment, but also really well qualified people. I’ve discovered a more laid back part of me in Los Angeles. It’s said of Americans that they’re very flexible in their jobs. You’re known for putting whole teams together when needed. Is this ever met with resistance at a German company like Zalando? No, not at all. Of course for some colleagues it was unusual initially. Flexibility, in my opinion, has nothing to do with nationality. For some actions it’s important to gather people and explain why it makes sense for me to have certain colleagues closer to me during certain phases. I don’t make decisions like a totalitarian dictator, instead I explain the work process and let people have input into the development. Until now there’s only been positive reactions. Does that also perhaps have something to do with the fact that you work with a very young team? I like working with young people. This industry lives off different generations. It’s only with the new fast-track culture that I lose patience. Young creatives always want to get to the top really quickly, without giving themselves any room and time to develop. That takes authenticity away from them, because they fit a certain template and then lose themselves in it very quickly. Have you ever got to a point like this in your career? Oh yes! When I was in my mid-twenties. At the time budgets for campaigns were still crazily high and you would fly with Concorde and think you were the biggest and the best art director that the world had ever seen. What brought you back down to reality? It was a shock moment. While on a job in Paris I was moved from a luxury hotel to another because an important CEO from Lancaster was supposed to have my room. I had to stay the night in a smaller room and made such a fuss about it, that I suddenly didn’t even recognize myself anymore. It was instantly clear that the industry had got to me.You can quickly end up addicted to this industry. But if the all the luxury, the big budgets and the important names aren’t there anymore—and they’re something that can change overnight in this business—all of a sudden you’re standing there stark naked, because you’ve defined yourself only in relation to this. Independence seems to play an important role in your life. Yes, and I try to maintain this. You should never zero in on something too much because in doing so you end up robbing yourself of freedom. Flexibility doesn’t only help me in my job which changes constantly at a rapid pace. It’s a fundamental stance that I take towards life. Sometimes for fun I imagine what I would take with me if were to move away overnight: two suitcases would be enough—and when I visualize that, I feel free. 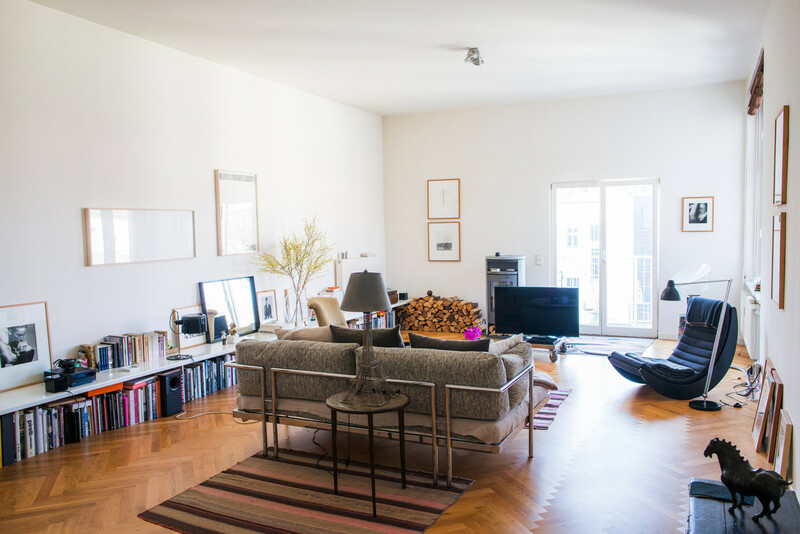 for letting us behind the scenes to gain insight into your work at Zalando along with a tour of your tranquil home in the historic neighborhood of Mitte. We’re looking forward to seeing more of your ideas come to life at Zalando and curious to see what will happen at the three day fashion festival Bread & Butter. Head to Chang’s website for an overview of his prominent campaigns.